The Lloyds Bank Foundation recently announced it was increasing the amount its grants were worth and the length of time they were awarded for, in response to cuts in government funding. As part of the new grant-making strategy, unveiled in January, the foundation, which was called the Lloyds TSB Foundation until the two banks were split last year, will focus on the "transition points" in disadvantaged people's lives, such as when they come out of prison or care. 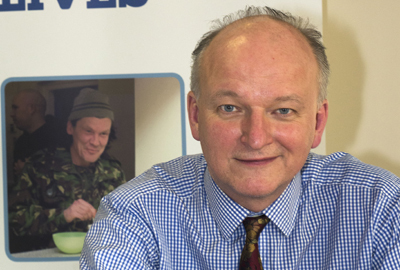 Paul Streets, chief executive of the foundation, says: "Looking at the funding environment - what was happening to charities and government, particularly to local government with funding being cut - it was imperative to think about how we funded and how much we funded. "We were funding a lot of good stuff, but there were questions about whether some of it moved people on in their lives. Our grant-makers said that we could be far more effective if we chose to focus on organisations that targeted the transition points in people's lives." The foundation also sought the views of the small and medium-sized organisations that it funds: they said they would benefit from more funding over a longer period. "Funders in the past have been the icing or the marzipan on a local authority's fruitcake," Streets says. "But local authorities are short of resources and their move from grants to contracts is often not appropriate for the smaller organisations we are funding." The foundation, which is funded from the profits of the Lloyds Banking Group, receives about £25m a year. Its previous grants programmes closed to new applicants in February and it will reopen to expressions of interest in the new programmes next month. The main funding programme, Invest, will offer funding of £25,000 a year for up to six years. Its other programme, Enable, will offer short-term development funding of £15,000 over a maximum of two years. Grants can be used to cover core costs and support to develop back-office functions. Charities will also be offered the option of in-kind support from local branches, including business and finance skills-based volunteering. "We are working with the bank on a move away from more traditional corporate social responsibility, which has been more about gardening and decorating team-building, to something that is skills-based and value-added," Streets says. Streets says the foundation used to say applicants had to have two years of accounts filed with the Charity Commission, but that has now been relaxed to one to attract newer organisations.